Head lice are tiny, wingless human parasites. The nit (egg) is approximately the size of a sesame seed or smaller. The adult head louse is comparable to an ant and/or gnat in width and length. They have six legs with tiny claws and live only on human scalps. Head lice can range in color from light brown to gray. While annoying, head lice are not life threatening. How widespread are head lice? Head lice have been infesting humans throughout history. It is difficult to track head lice cases because head lice are not considered a disease and therefore public health departments and the Centers For Disease Control (CDC) do not routinely track the number of head lice cases. However, schools and manufacturers of lice products estimate head lice cases at 12- 25 million infestations each year in the United States alone. Most of those infested are children under the age of twelve. 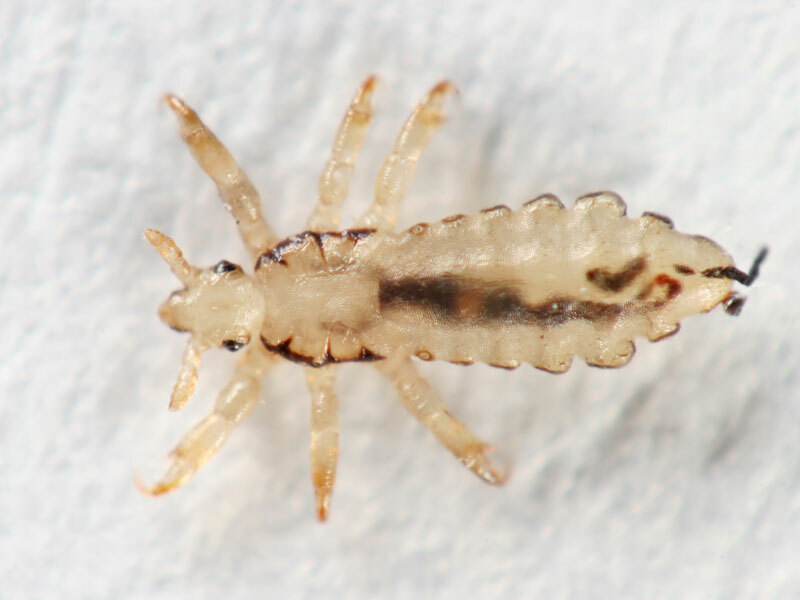 Lice migrate through direct contact with an infested person and/or their belongings. Head lice do not hop, jump, fly, or swim. Pets do not transmit head lice. Poor personal hygiene does not cause an infestation. In fact, head lice prefer clean, healthy heads. Head lice do not live in, nor come from, the dirt, trees, or the air. They live on the human head. The most common symptom of a head lice infestation is persistent itching, particularly around the ears, back of the neck and crown. Some people never itch at all. Repeat infestations can cause certain individuals to become super-sensitive to bites. Secondary bacterial infections can occur with excessive scratching. See a doctor if this occurs. 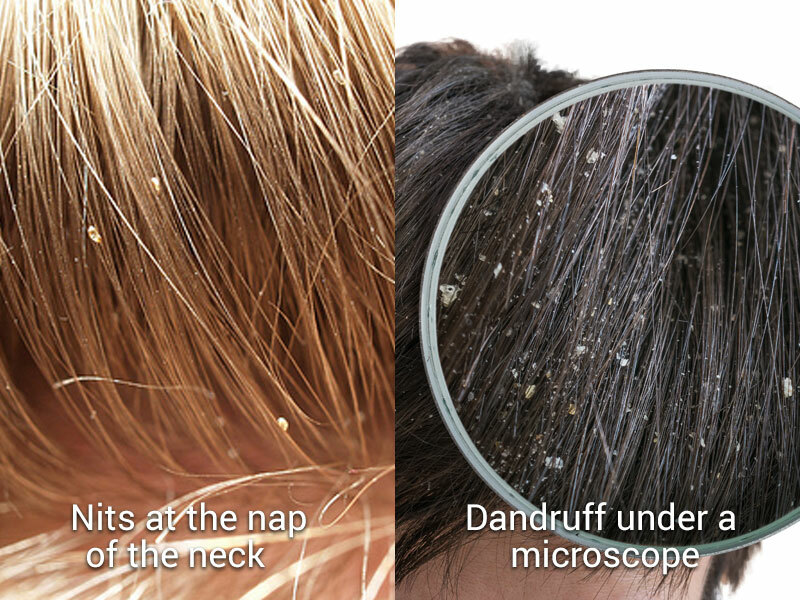 Diagnosis of head lice is usually made by finding nits (lice eggs). If what you have found in your hair can be blown, flicked off, or crumbles in your fingers, it is not a nit. How do you treat for head lice? Getting rid of head lice is a four step process which begins with an affirmative diagnosis. Upon affirmation, you must kill all the live head lice, check for and remove all the nits by combing and manual nit picking, and do a reasonable job of cleaning the infested person’s belongings and home environment. Make sure you have head lice before treatment. Many people misdiagnose head lice and treat themselves or their children with chemicals unnecessarily. Are head lice pesticides harmful? These products contain insecticides (Lindane, Malathion, Natural Pyrethrins, and Permethrin), and should always be used with caution. Check with your pharmacist or doctor to determine which product is safe for your family. Never use these products if you are pregnant, nursing, or on an infants under 6 months of age. Follow the directions exactly when using these chemically based head lice solutions. Misuse of these products (leaving them on longer than the directions state or applying more treatments than specified), compromises the health of the child due to overexposure to chemical pesticides. Also, children with allergies may be at more risk for allergic reactions to pesticides. A prescription medication called Kwell should never be used. 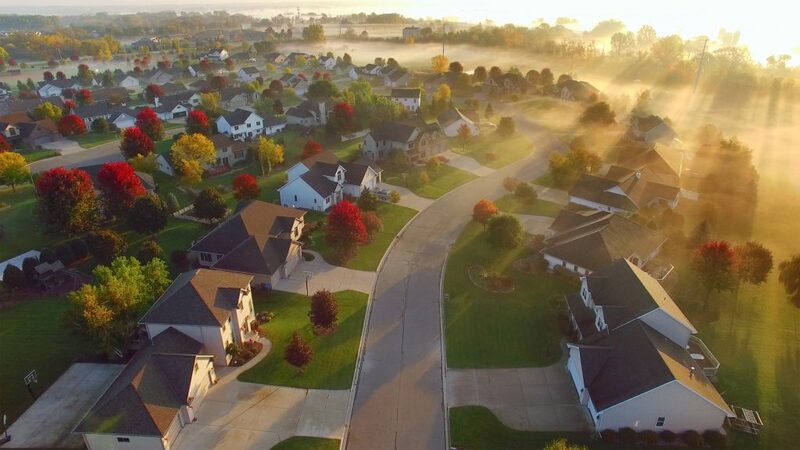 Kwell contains Lindane, a powerful neurotoxin and possibly carcinogenic pesticide, which can cause serious side effects including seizures and even death. Consumer Reports has petitioned the Food and Drug Administration to remove this pesticide from the market. Children and the elderly are particularly vulnerable to Lindane toxicity. Are head lice becoming drug-resistant? People should also be aware that according to entomologists, any parasite over time can develop resistance to pesticides. It is not surprising therefore, that many consumers, health professionals, and entomologists report that head lice have become resistant to pediculicides. Failure to follow directions and/or lack of thorough nit-picking can compound the challenge of eradicating a persistent infestation. What should I do if I have used pediculicides and still have head lice? If you have used a pediculicide correctly and still have live lice or new nits, you probably have a persistent case of head lice (see Super Lice in Glossary: Lice Terms section). Persistent head lice is defined as three incidents of live lice found over a 6-week period. If you have head lice that have resisted treatment, do not continue to use additional chemically based solutions in the hopes that they will work. They will not. Such chemical treatments were never intended to be used repeatedly. It is time to contact a professional Head Lice Removal Service such as O.C.’s HAIR POLICE! Why is manual nitpicking so important? Every successful lice removal program must include manual nit picking. Even if you treat with heat, chemicals, and/or a home remedy such as olive oil you must also incorporate manual nit picking into your treatment program because nothing else has proved 100% successful in killing nits. Lice lay their eggs close to the scalp. It used to be thought that eggs further than 1/2 inch from the scalp were not viable. However, new research indicates that this is not true, especially during warm weather. Therefore, removing all the nits is the only sure way to get an infestation under control. Getting rid of head lice requires perseverance. Head lice do not come out of the air or from the ground. They are human parasites. As long as humans exist so too will head lice. Head lice can be spread whenever there is direct contact of the head or hair with an infested individual. Head lice can also be spread through the sharing of personal articles like hats, towels, brushes, helmets, hair ties, etc. There is also a possibility of spreading head lice via a pillow, headrest, backpack, car seat, or similar items. Body lice is associated with poor hygiene which has unfortunately created the modern day stigma for head lice. In stark contrast to body lice, head lice are actually not scientifically linked to poor living conditions preferring and are most prevalent instead on individuals whom have good hygiene and acceptable grooming habits. 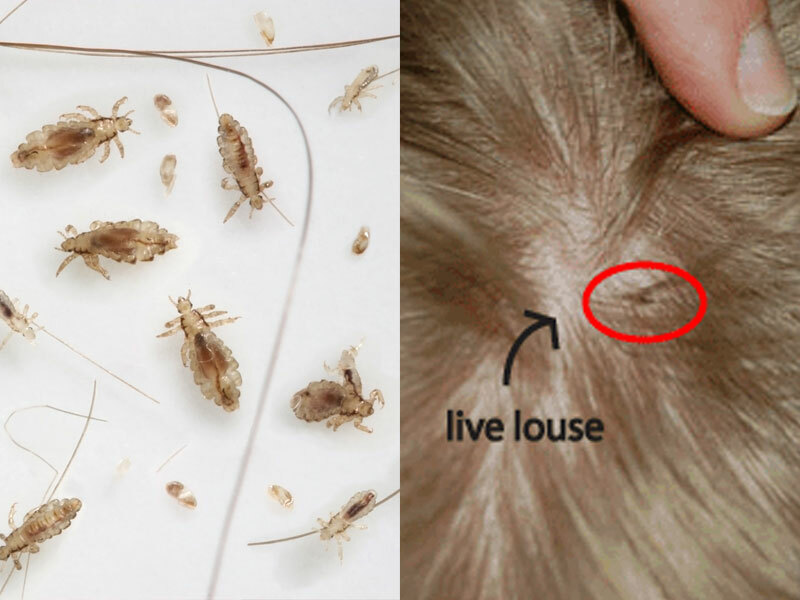 If a louse (single head lice) comes off the head and is left behind on a pillow or head rest, it may be possible for the louse to infest another individual who places their head in that area for a period of 24-48 hours should the louse remain in the vicinity as well. Head lice do not hop, jump, fly, or swim and generally cannot survive longer than 24 – 48 hours off the Host (the human head). Lice are hatched from eggs called nits. Once laid, it takes 7-10 days for a nit to hatch. Nits off of the head will not hatch as they must be laid close to the scalp. Nits require the heat generated from the human scalp in order to incubate. Lice require human blood to survive. They must have a “blood” meal every 4 hours in order to thrive. They extract the blood from the human scalp. The life span of head lice is 33-35 days laying 6-10 nits daily prior to its natural demise. A nit hatching off of a head results in a tiny nymph head louse which, without an accessible or nearby human, is doomed because it requires an immediate blood meal. Head lice are Host specific. Human head lice cannot be transmitted to or from pets or other animals. The exoskeleton of the head louse is on the outside of their body. The human head louse cannot become resistant to Non-Toxic Proprietary ABSOLUTE CLEAR enzymes EVER because it breaks down the exoskeleton of the louse versus attacking the nervous system. The nervous system incorporates the ongoing evolution of specific genes within it’s gene pool to ultimately develop the necessary resistance in order to solidify its existence. The exoskeleton of the head louse cannot do the same in order to ward off its destruction visa vie Non-Toxic ABSOLUTE CLEAR enzymes. The ultimate size of head lice is no bigger than that of an ant and/or a gnat. The nit (egg) is comparable to the size of a sesame seed. Observed here to actual hair strands and on the scalp. Nits and Head Lice can be mistaken for dandruff, DEC plugs, hair muffs, general debris from a good kid day spent outdoors, and/or excema. Nits are adhered to the hair shaft with a glue like substance. Nits are not easily removed. For the most part, all other substance in the hair should crumble in your hand, flake off if softly blown upon, or gently flicked and/or swiped at with the fingertips.